Mid-Life Career Change: Do you need a top named school to find a new career? “Norman” had been working for 15 years with great success. His mid-life career change came from a decision to move to a new state to be closer to his family, he discovered he would need a certification from an approved university. He found certification programs at a variety of venues, from a community college to a state university to a private school. When Norman asked for help in evaluating his options, I suggested that he find out how he’d be viewed by prospective employers when he conducted his job search. My hunch was that employers would look first at his experience. At this point, the certificate was just getting his ticket punched. He didn’t need a school with a big name. He could choose the cheapest, fastest option with no loss of opportunities. “Cynthia” had a successful professional career as a veterinarian. But after ten years she wanted a career that would let her spend evenings and weekends with her family. She considered getting an MBA to seek a corporate job. Harvard? Wharton? Northwestern? Those programs were high on her list. Cynthia needs to find a way to use her skills to transition into the business world. She might find a pharmaceutical company where she could use her experience to market to veterinarians. She might develop software to help veterinarians keep track of their expenses and income. Both Norman and Cynthia need to be aware that they cannot forget their experience. When I talk to workers who agree to take a big pay cut and step back to a lesser position, they almost always report more frustration – not less. On the other hand, if they are starting in a whole new field, they may be advised to take an entry level position. If they do, they need to pick organizations where they can move up quickly, rather than rigid companies that cling to outdated norms and timelines. Experienced workers learn fast and when you are bored, everybody knows it. 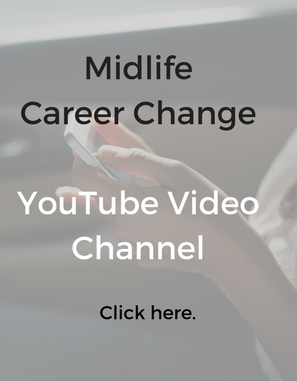 Bottom Line: For a career change at mid-life and mid-career, look at the whole picture. Before investing in the top schools with big names and big tuition bills, find out if you can make the same progress with a lower-cost program. You will be surprised: you may be equally challenged in those programs. Of course, if you have the funds and you want the experience, you have little to lose with an Ivy League degree or a top-rated certificate program. Just be aware that you will respond differently to the program, compared to millennials. And you need a realistic evaluation of the opportunities that present themselves when you hold that coveted diploma in your hand. More? 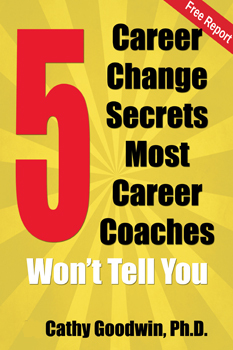 Download my Ebook: Back To School For A Mid-Life Mid-Career MBA.